When the weather gets hot, stay out of the kitchen and bring the cooking outdoors. 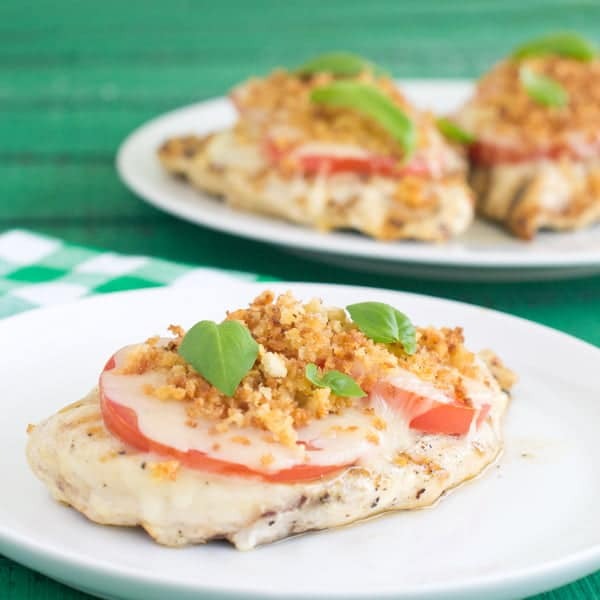 This Grilled Chicken Parmesan blends traditional flavor with the taste of summer. Everybody in my house loves Chicken Parmesan. How could we not? 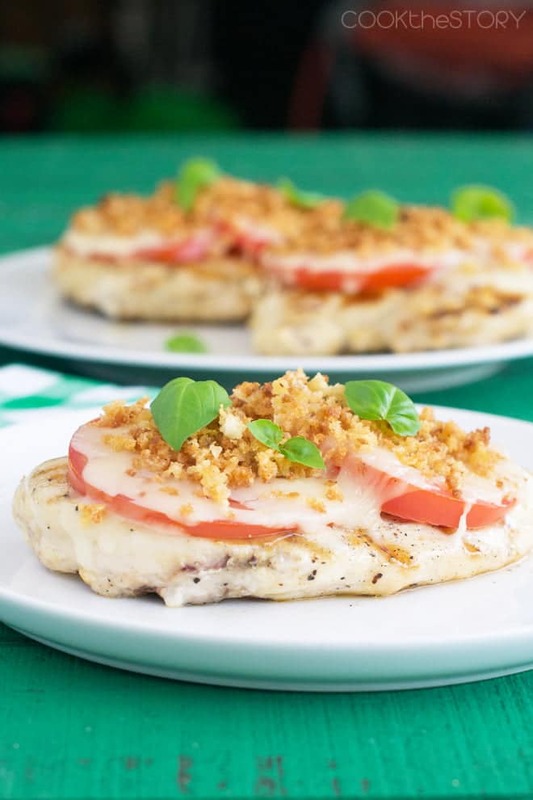 Meaty chicken, crunchy crust, gooey cheese, rich tomato sauce. It’s the perfect food! 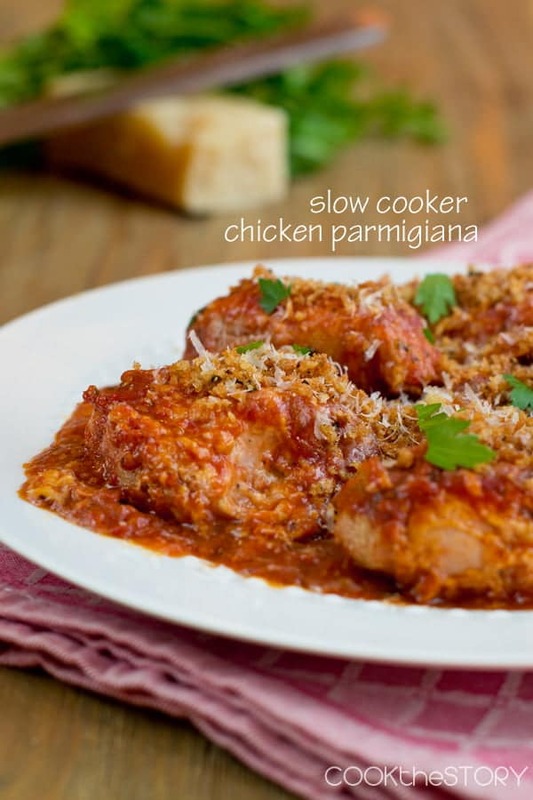 Back in the winter I came up with a really cozy version of Chicken Parmesan. That one was done in the slow cooker. The obstacle to doing it in the slow cooker was that there was no crunchy crust. Everything steams in there. 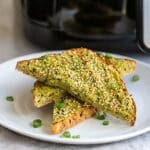 The solution was to toast some bread crumbs separately and sprinkle them on the dish before serving. See them there sprinkled on top of the tomato sauce? This summer, when I decided to try a brighter, sunnier, Grilled Chicken Parmesan, I turned to the same trick. 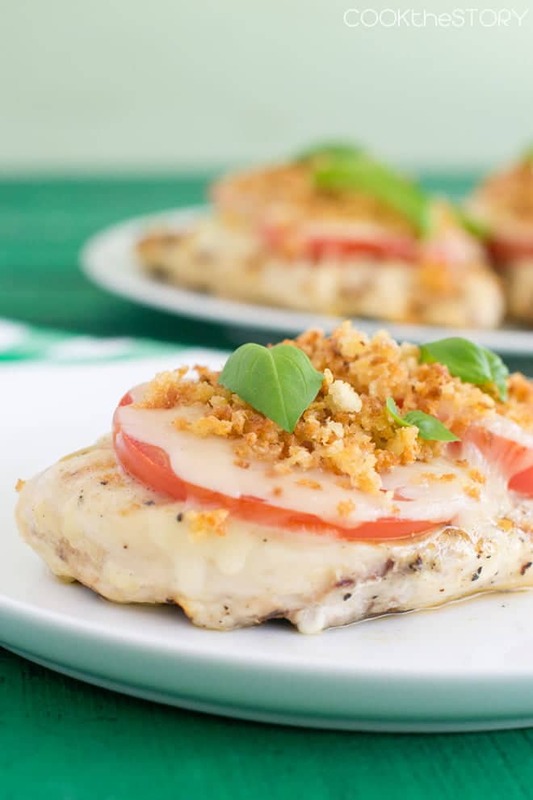 To make this Grilled Chicken Parmesan recipe, you first pound the chicken breasts to an even thickness. This is really important when grilling chicken breasts. 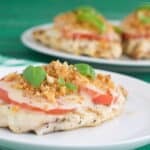 It will let them cook evenly, otherwise the thinner part of the chicken breast will dry up before the thicker part is cooked through. It takes a few seconds per chicken breast to do this and it’s worth the time. 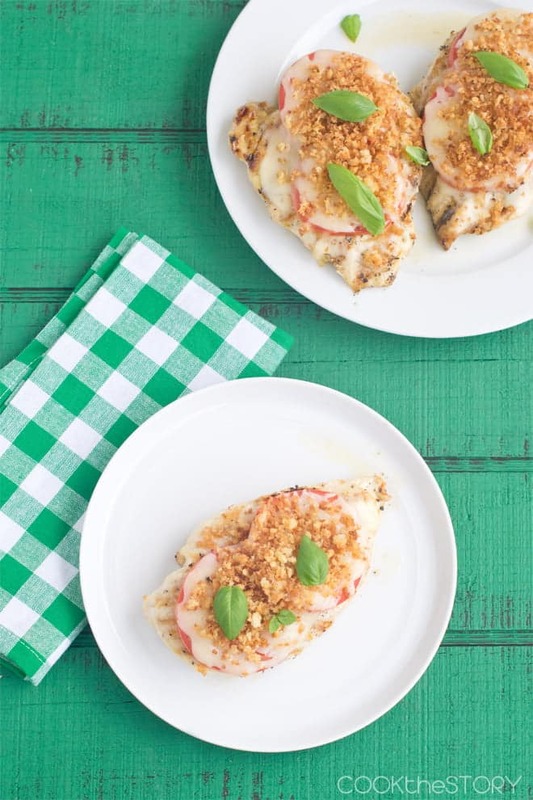 From there, you marinate the chicken breasts in olive oil and lemon juice for a short time while you toast up those breadcrumbs and get your other ingredients ready. Then get them onto the grill. Grill them on one side and then flip them over. 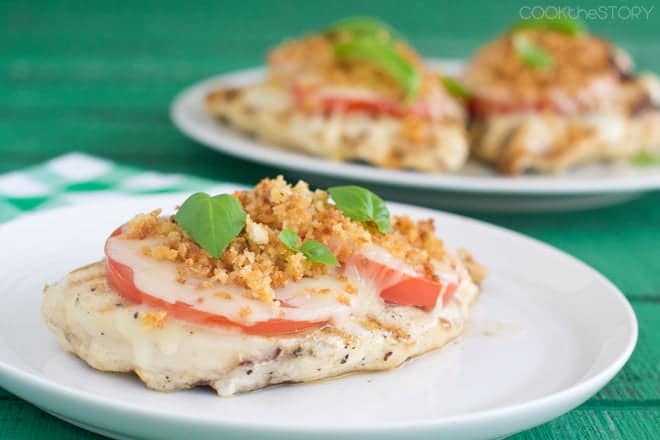 Top each chicken breast with two slices of slightly overlapping fresh tomato, some shredded mozzarella cheese and those breadcrumbs that you toasted in the oven. Grill until cooked through and the cheese is melted on top. 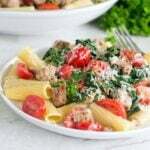 Serve topped with beautiful, summery fresh basil . Couldn’t be easier! Couldn’t be more delicious!! If you don't want cozy oven-baked meals in the summer, try out this grilled version of a classic meal. 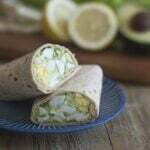 Serve it with grilled french fries and caesar salad for the perfect meal. Flatten the chicken breasts: Put one breast into a large ziptop bag but keep it unzipped. Use a flat mallet or heavy rolling pin to hit the chicken breast at the thickest part. Continue to do so, moving around a bit, until the chicken is of an even thickness of approximately 3/4-inch. Remove chicken from bag and repeat one at a time with remaining breasts. If the bag is in good shape (no holes) measure 1/4 cup of olive oil and the lemon juice into the bag (or use a new bag or a making dish). Add the flattened chicken and turn to coat. Refrigerate while preparing the rest of the ingredients. Into a small skillet measure the panko, parmesan, 1 tablespoon of olive oil, 1/4 teaspoon of salt and 1/4 teaspoon of garlic powder. Put over medium-low heat and stir frequently so that the parmesan doesn't clump up as it melts. Stir and cook until toasted to a golden crunchy brown, about 3-4 minutes. Transfer immediately to a large plate so that the crumbs stop cooking and cool. Set aside. Prepare the grill for direct cooking on medium-high heat. Drain the liquid off of the chicken breasts and discard. Sprinkle lightly with salt and pepper on both sides. Transfer breasts to prepared grill. Cover and cook until there are nice dark grill marks, 3-4 minutes. Flip the breasts over. Top each one with 2 slightly overlapping slices of tomato, 1/4 cup of the shredded mozzarella and 1/4 of the bread crumbs. Cover and cook just until breasts are cooked through and cheese is melted, 3-4 minutes longer. Transfer to serving plate and top each breast with 2-3 basil leaves. That’s a nice twist on Chicken Parmesan. It looks quite tasty.